In a rarely explored corner of the Pacific Northwest stands a forested sliver of land steeped in magic that only some can see. Oldenglen, the first in a new fantasy series for middle-grade readers, introduces Jax, a twelve-year-old city boy from England, forced to move with his parents to a remote part of Oregon. Initially bitter about leaving his life behind, he begins to feel a strange draw to the woods, which only intensifies when he meets Sarah, the granddaughter of the nearest neighbors. Together they begin to unravel the secrets of the glen. But when invaders threaten the wildwood and its inhabitants, Jax and Sarah―and a most unusual army―must prepare for war. Great peril has come to Oldenglen, but who and what must Jax and Sarah confront in the battle to save it? Michael Mason, a retired English professor, and Robin Mason are a father-son writing duo. 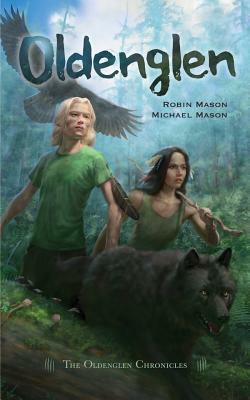 Their first book, Oldenglen, is the start of a middle grade fantasy series inspired by Robin's childhood memory of a lost forested world.